We are open everyday ! Experience the sights, smells and flavours of delectable northern Sri Lankan food, right in the historic heart of Kuala Lumpur. From the rich melange of spices we use to the divine heartiness of our core traditional Sri Lankan recipes, a meal at Yarl will never disappoint even the most widely travelled palate. Yarl Restaurant is the only place to enjoy unique Jaffna dishes and special recipes. Everyday, we lovingly prepare a choice of home-cooked northern Sri Lankan vege and non-veg dishes that we are confident you will not find anywhere else. We also offer a lunch buffet with a wide selection for you to choose from. Come on by today for a tasty meal that will bring you back again and again! 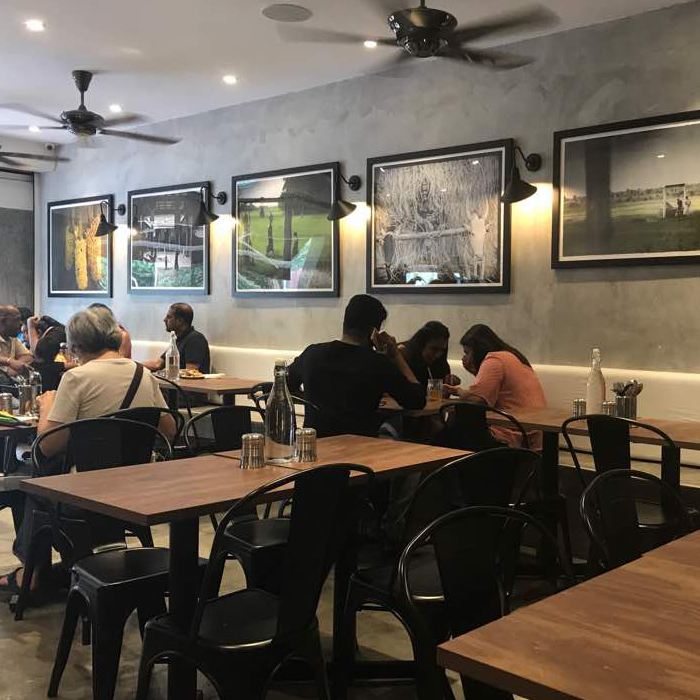 Believe it or not, Yarl Restaurant started out as a humble food stall on the sidewalks amidst the hustle and bustle of central Brickfields. Back in days past, this little food stall was the only way to have authentic Sri Lankan food the way it was from way back home. Word spread like wildfire and the combination of homely dishes and authentic flavours brought a loyal audience back time and time again. We frequently source ingredients directly from Sri Lanka and our customers truly appreciate the extra miles we put into our ingredients. Now, with the support of the community, the restaurant is a destination in itself and the true home of Jaffna cuisine in Kuala Lumpur. Spices say a thousand words. Authentic food. Great service. Lovely atmosphere. These bring our loyal fans back each and every time. But for the un-initiated, your first taste of our delectable curries and sambals will welcome you home like a true friend that touches the heart, everytime. Our kitchen prepares a large variety of authentic Jaffna flavours for you to tuck into. We naturally, have a wide selection of vegetarian dishes as well. All your needs and wishes will be well-taken care of as an esteemed guest of Yarl. Drop by the home of northern Sri Lankan cuisine today. We look forward to serving you. Brickfields - The Cultural Heart of Kuala Lumpur. Yarl Restaurant is conveniently located a stones throw away from the transit hub of KL Sentral. We are within walking distance of the main shopping thoroughfare of Jalan Tun Sambanthan and are right behind the YMCA Hostel on Jalan Padang Belia. Food delivery is available on daily or weekly schedules. We also cater for special occasions. © 2018 Yarl Restaurant. All rights reserved.